When you need to purchase hand tools for your business in the Midwest, there is no better place to turn than Wm. F. Hurst Co., LLC. We offer well-crafted products from top-rated manufacturers to businesses in Kansas City, Wichita, Dallas, Fort Worth, and other surrounding cities, but what really sets us apart from our competitors is the customer support we provide. We are dedicated to helping our customers find the tools necessary to maintain a productive and efficient business. Our staff has immense knowledge of each of the industrial tools we sell and expertise across a wide range of industries, so they can be relied upon to identify tools that can help you improve processes within your operation. 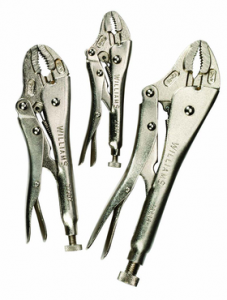 Our inventory includes many other industrial supplies in addition to hand tools. We also offer power tools, abrasive belts and discs, metalworking fluids, safety supplies, and more. Contact us today if you would like to learn more about our selection of hand tools or any of the other products we offer. Wm F Hurst is a dependable industrial supplies distributor that proudly serves businesses in Kansas City, Wichita,Dallas, Fort Worth, Joplin, Sedalia, Springfield, and other cities in the Midwest.